E-invoicing (or electronic invoicing) is the delivery of invoices and related documents by means of electronic communications. 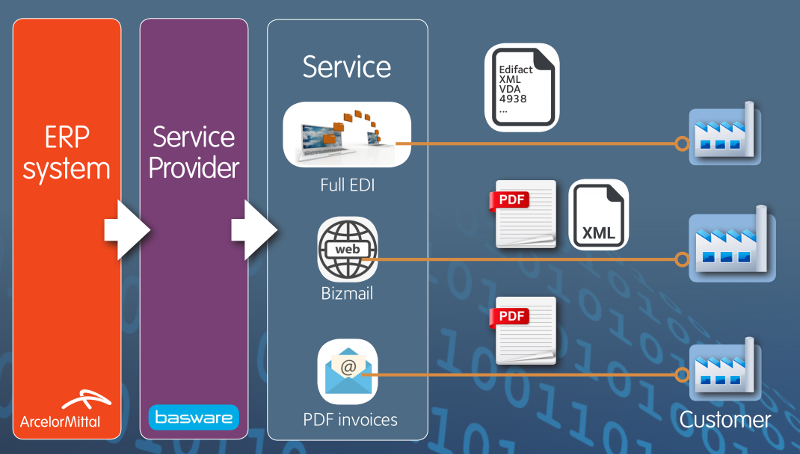 • You receive an email with a link to the invoice on the Basware portal. or your usual contact at ArcelorMittal.